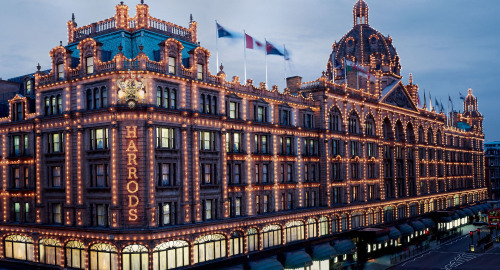 When twilight falls, and Harrods' twinkling lights flicker, Knightsbridge is at its most glamorous. The district is bound up with nostalgia for the top hats and silk scarves of locals now long gone, a place suffused with the fragrance of food courts and the excitement of toy shops, a hallowed corner of London reserved for the most special moments we spend in the city. Oozing with romance and fairytale wonder, Knightsbridge feels more like more the setting for a bedtime story than somewhere in real life. It is, undoubtedly, a magical place to get married. 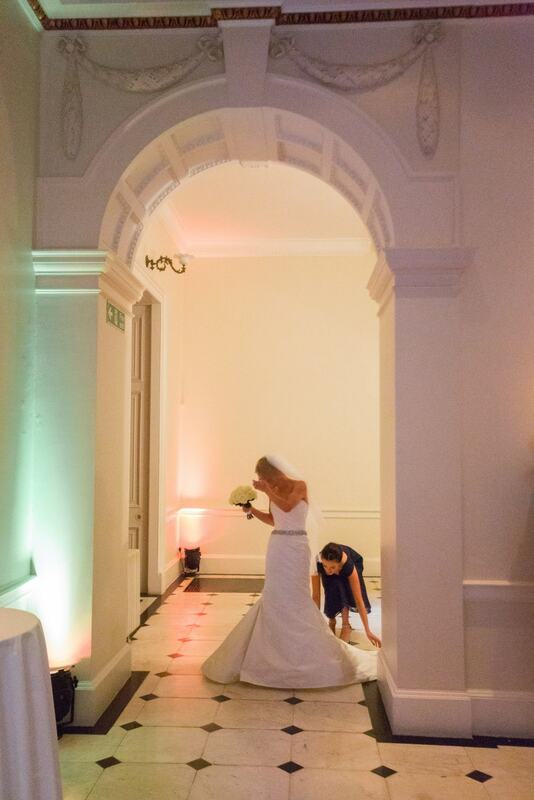 To be wed in Knightsbridge is the stuff of childhood dreams. But to make that dream a reality, your venue has to have the splendour and prestige that a Knightsbridge wedding deserves. And it's the pillared townhouses, towering but elegant, that we've all come to associate with London's most glamorous neighbourhood. Kent House, dating back to 1790, is one such townhouse. It bears the name of a Prince, has housed Ladies, statesmen, and descendants of Isambard Kingdom Brunel. You can feel that rich and noble history in its marble floors, columned hallways and chandeliers. Today, Kent House is no longer a private residence. Now, you can have your dream wedding within its richly historic walls. The entire house can be all yours for your day, exclusively. The polished black and white marble floor welcomes you into this quintessential Knightsbridge townhouse, with noble ionic columns surrounding an original, magnificent staircase. And while the original essence of the house diffuses through its original features, the Kent House team's innovative approach to the venue means that it is surprisingly versatile. With neutral design and colours, the interior is a blank canvas to liberate your decorative imagination. And, in spite of the regal setting and bold interior, this house is comfortingly homely; a warm and intimate place to welcome your loved ones, and usher in a new chapter in both your lives. It is, without doubt, the definitive venue to get married in, located in a glamorous district of dream weddings. You can find out all the details of capacity, licensing, food and drink packages, and pricing, by clicking here. 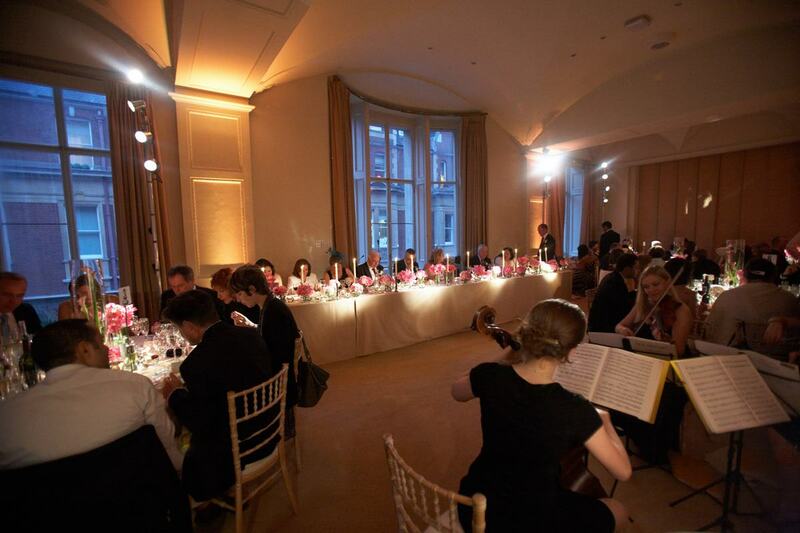 And don't hesitate to get in touch with our team if you're tempted by this unique wedding venue from the magical part of the city we all love, Knightsbridge.